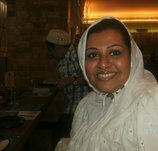 Farida H Bharmal is a Well-known “Handwriting Analysis” She is from Bangalore and married in Rajkot She knowns English,Hindi and Gujarati. I am invited and requested her to start her column “Handwriting Analysis” on www.vadgam.com and she is agreed to to do so for help vadgam children’s as well as vadgam people. This column is very helpful to the people of vadgam especially children’s and students to know the importance of art of hand writing and it’s benefit.As my telephonic talk with Farida h Bharmal she also be very interested to visit vadgam and like to conduct a children’s and Student’s Seminar for sharing a knowledge on Hand writing Importance. 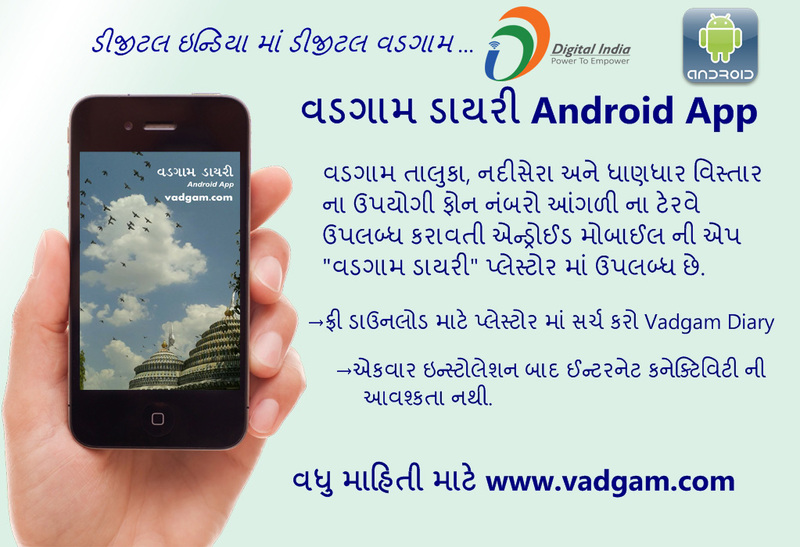 She is continually sharing some information on Hand Writing Importance on www.vadgam.com time to time and help to region people to well aware on this topic. CLICK HERE —> “Handwriting Analysis” to go to and Read Column Page. Following is the Brief Profile of Farida H.Bharmal. Thanks to Farida for her Positive attitude to help rural people of Vadgam. I got so completely impressed by this science that I decided to give it a try. After all I just had to change my handwriting, a few alphabets and strokes. What did I have to lose?I want to show you my earlier handwriting before Grapho-therapy and after it. Anyone will be able to notice the difference between the two handwriting’s instantly!! My mother was my biggest support and without her I might have not been able to do what I wanted. Today my entire family has been benefited with the power of this science. It has brought us closer and some have been able to resolve long standing issues to. I have done mind power, body language and NLP as well, and handwriting analysis has its own unique place and wonderful power. With the right knowledge of what is to be changed in a handwriting a person can become a completely new human being. It’s just like being born again!! Some handwriting analysts use a computer-generated program to generate handwriting reports. I have limited experience with computer-generated reports, but from that limited experience, I believe they are generally less accurate than analyses performed by a thoughtful analyst. Computer generated programs, however, do permit a hardcopy analysis to be done fairly inexpensively. Composing and generating individual written reports is a time consuming and therefore expensive process. I consider myself a Graphoanalytical therapist. When studying your handwriting, I will uncover many aspects of your personality. Like most of us, you probably have dreams and goals that seem reasonable, but just out of reach, and thus cause you some degree of frustration. As you and I discuss what you want for your life, I will help you recognize the stumbling blocks you may be facing. Then I will show you the graphotherapy techniques that will develop your potential and enable you to turn your goals into reality. Remember: Change is the only thing constant in life, then why not change for the better. Handwriting Analysis is a science by which the hidden nature of a person is revealed. Their emotion, strengths, weakness, likes, dislikes, fears are all shown in the handwriting. In the case of school going children, handwriting is still a day-to-day necessity and healthy writing equals healthy thinking. Poor handwriting can bring your child’s grades down and errors in copying can reduce a child’s math grades by as much as 20%. Handwriting Analysis helps overcome this problem amongst many others like improving memory and concentration power and, increasing his self-esteem by the simple practice of Grapho Therapy. Grapho Therapy is a process of changing your handwriting scientifically in order to change your personality. All this may be a little hard to believe but Grapho-Therapy works on the writing pattern that directly affects behavior, changing certain strokes in the writing helps you build particular character traits. “When you change a child’s handwriting, you are taking negative thoughts and habits and replacing them with supportive, positive ones,” says Vilama Rogers, a handwriting expert. It’s not uncommon for a child to be ashamed of poor handwriting and a few easy to do patters and strokes in the handwriting will be a positive reinforcement in your child’s personality.